It seems like quality control and software testing of Microsoft is going downhill. 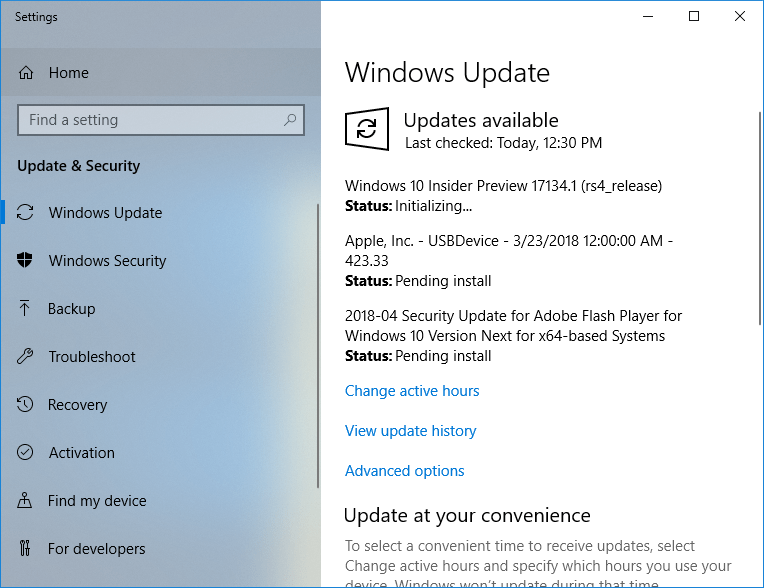 After originally assigned Windows 10 Redstone 4 (RS4) Build 17133 as the RTM for the Windows 10 Spring Creators Update (SCU) version 1803 by releasing it to Windows Insiders on the Fast, Slow and Release Preview rings, Microsoft has to abruptly and unprecedentedly demote and cancel the RTM status of build 17133 due to discovery of blocking bugs, directly causing the delay of the release of Windows 10 Spring Creators Update, which was supposed to roll out in April 2018. As Build 17133 progressed through the rings, we discovered some reliability issues we wanted to fix. In certain cases, these reliability issues could have led to a higher percentage of Blue Screen of Death (BSOD) on PCs for example. Instead of creating a Cumulative Update package to service these issues, we decided to create a new build with the fixes included. Like Windows 10 Build 17133, Windows 10 Build 17134 is from the rs4_release branch, and has the full BuildLab string of 17134.rs4_release.180410-1804. As Microsoft may still be ironed out bugs ahead of general availability of Windows 10 April 2018 Update, so the Windows 10 Build 17134.1 may not be the final RTM build. A more likely case is that Windows 10 Build 17134 will be the final build for RS4, but Microsoft may continue to release ZDP (Zero Day Patch) or CU (Cumulative Update) if show-stopper bugs are found that increases the final RTM build version for Windows 10 v.1803, just like Windows 10 Fall Creators Update v.1709 has the build number 16299.15. If you’re Windows Insider, you can go to Settings -> Update & security -> Windows Update to download and install the Windows 10 Build 17134.1 automatically. If this build is a RTM build, it should be pushed to Release Preview and Slow rings soon. Windows 10 Spring Creators Update general availability may still be released in April 2018, even though May 2018 is more likely possibility. When available in Windows Update, it should be listed as “Feature update for Windows 10, version 1803”. On the side note, while originally named as Windows 10 Spring Creators Update, there is rumor that Microsoft may take this opportunity to release the feature update as Windows 10 April 2018 Update. If so, it will likely help to improve clarity and clear the confusion with the original feature updates naming style which does not immediately make clear which update came first. Update 2: Windows 10 April 2018 Update version 1803 is releasing beginning form April 30 via direct download, and rolling out via Windows Update via Windows Update from May 8 during Build 2018. Update 1: Windows 10 Build 17134.1 is rolled out to both Slow and Release Preview rings of Windows Insider, making it a likely RTM version of Windows 10 version 1803 Spring Creators Update (aka April 2018 Update).